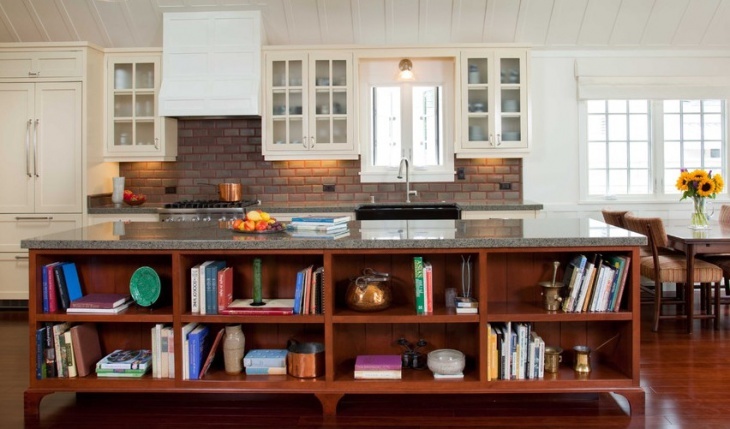 You can save valuable storage space by choosing a kitchen island table. 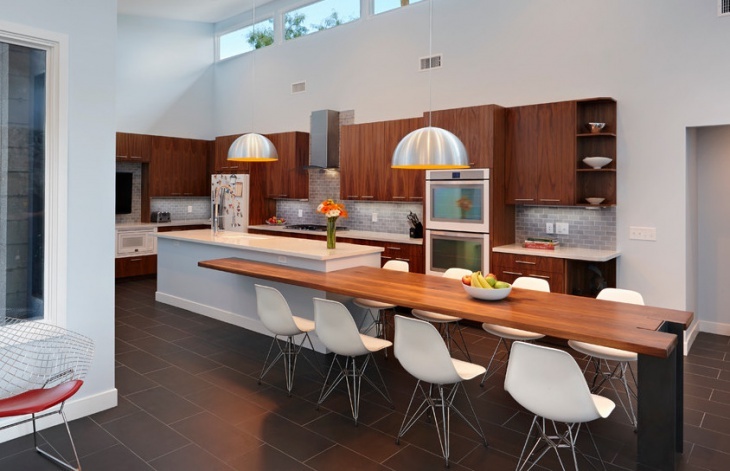 These designs are basically kitchen islands that have extended countertops with seating space. The space underneath is great for storing cutlery and other useful kitchen items. Kitchen tables come in many shapes. Round tables have a soft look that can be incorporated in every style. You can choose a four leg round table or a pedestal round table that will look cute and stylish. A corner table will give you an inviting nook for every meal. These designs have a corner bench set that gives you more seating space than having only chairs. You can use the space underneath the bench for storage purposes. 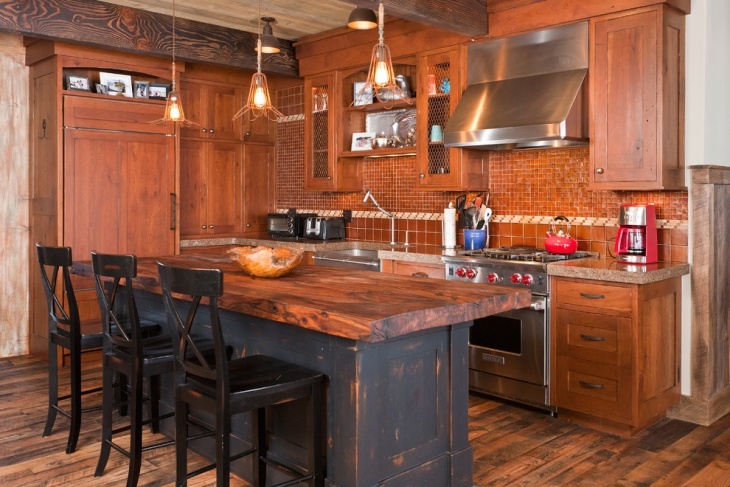 If you have your kitchen in a rustic design then the table should follow. You can find many table designs for your kitchen in wooden materials that have visible wood grains and add a natural look in the kitchen. 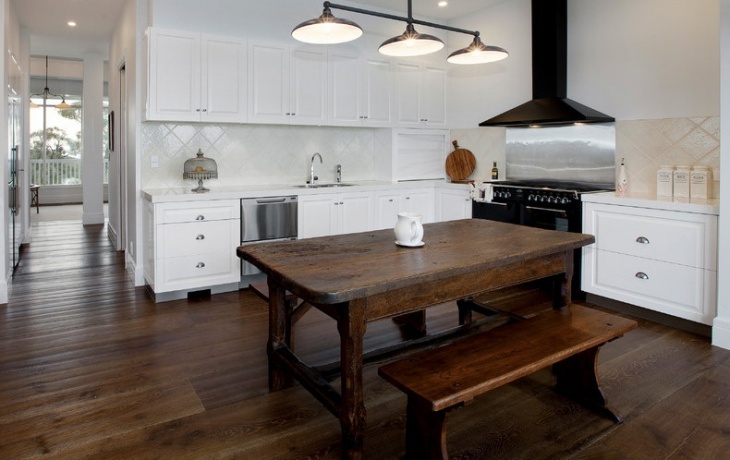 Farmhouse designs have a worn look that makes them look old even if they are brand new. 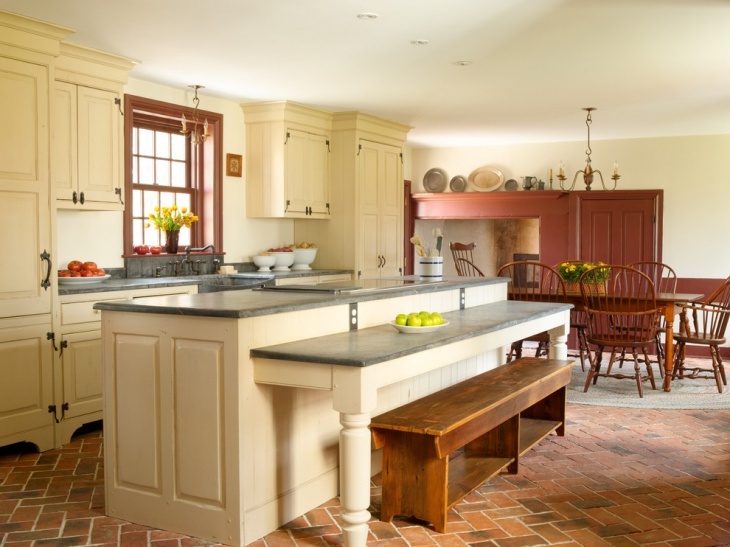 They are suitable for farmhouse and traditional kitchen styles that will match in color while you can find them in various shapes. 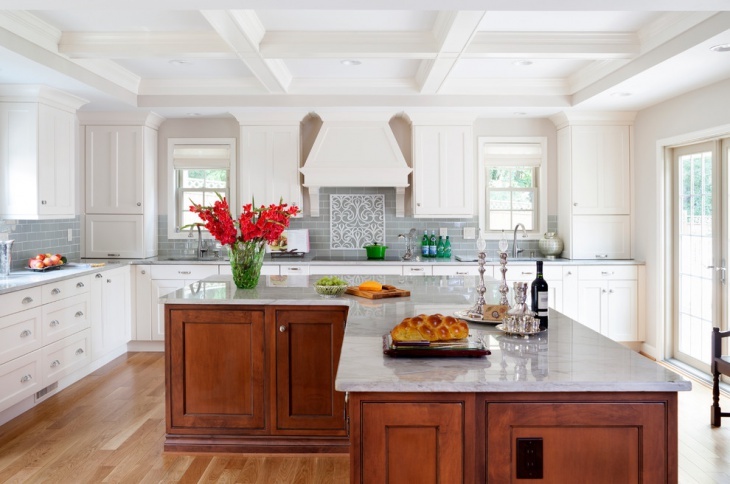 Kitchen bar tables are high resulting into guiding the eye higher. These tables can be introduced in every style and are available in various materials like wood, glass and stone. You can find matching bar chairs to even the style. 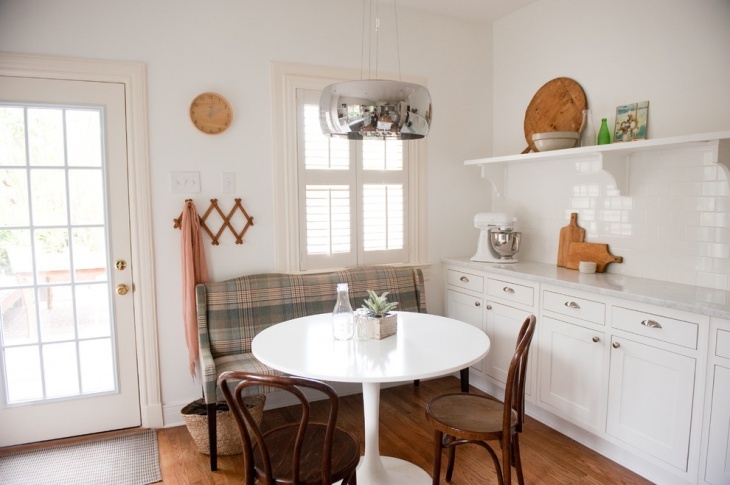 Vintage kitchen tables come in many designs and shapes. The materials range from Formica to wood and from metal to glass you will find everything you need for your kitchen. 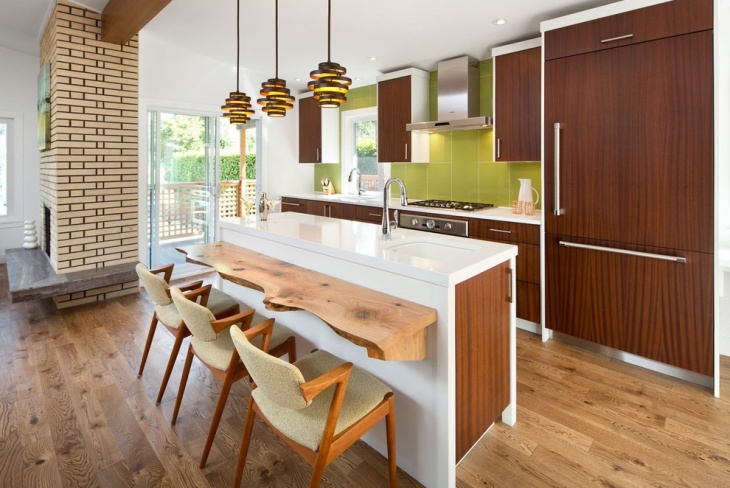 These designs are suitable for vintage and midcentury kitchen remodels. 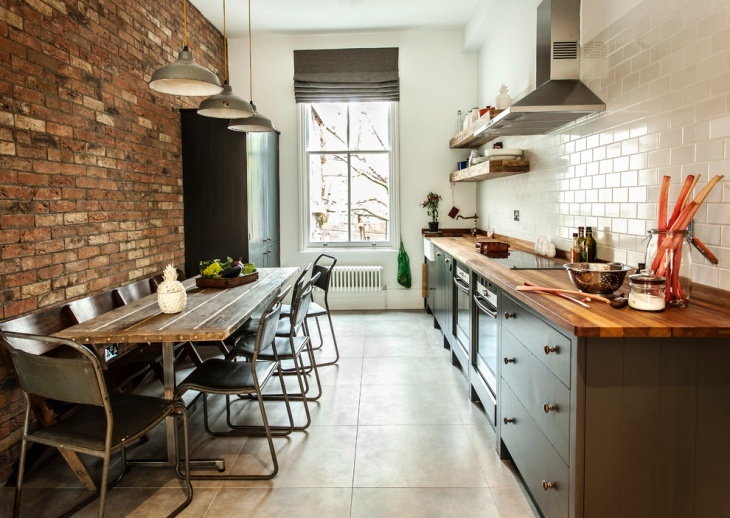 Industrial kitchen tables come with different bases like sled, trestle and pedestals without casting out the classic 4-leged. You can add a touch of elegance with the right material choice for your table design that can be solid or in combinations. 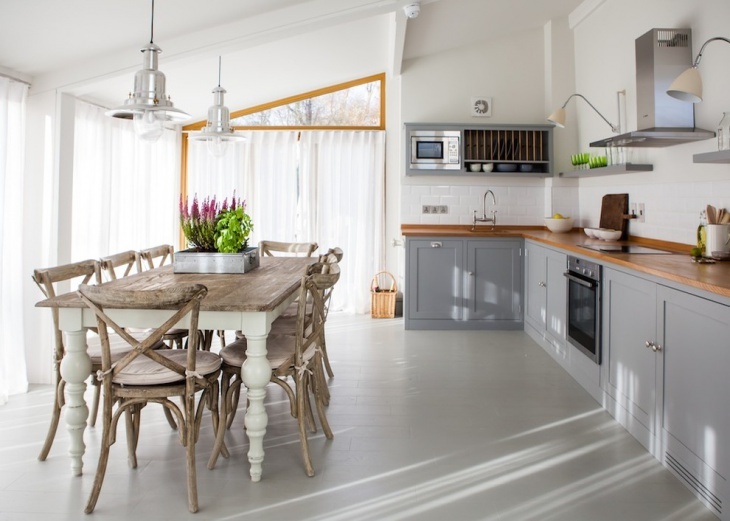 If you want to add a little bit of country style in your kitchen then you should start with the table. The country kitchen tables are mostly wooden designs with four legs or pedestal bases that transport your kitchen elsewhere. Depending on the design glass tables can look classy, warm or luxurious. Many designs of glass kitchen tables come in round shape, while others are available in rectangular or square shapes. The transparent quality makes them ideal for small kitchens. 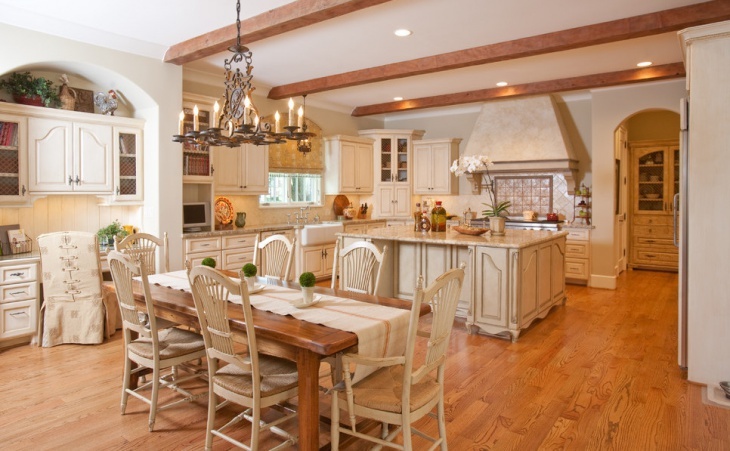 If your kitchen is part of an open space layout then you can use a large rectangular table design. They are available in all sizes and materials allowing you to choose the right fir for your kitchen design. 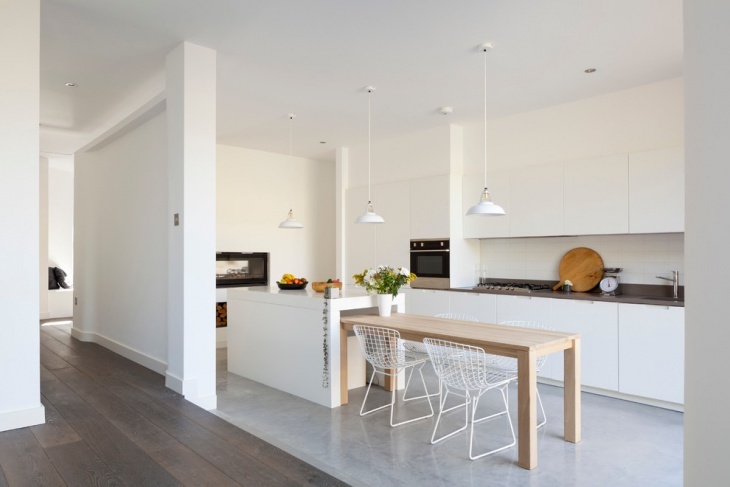 L shaped tables have a unique design that makes them an incredible feature for large kitchens. 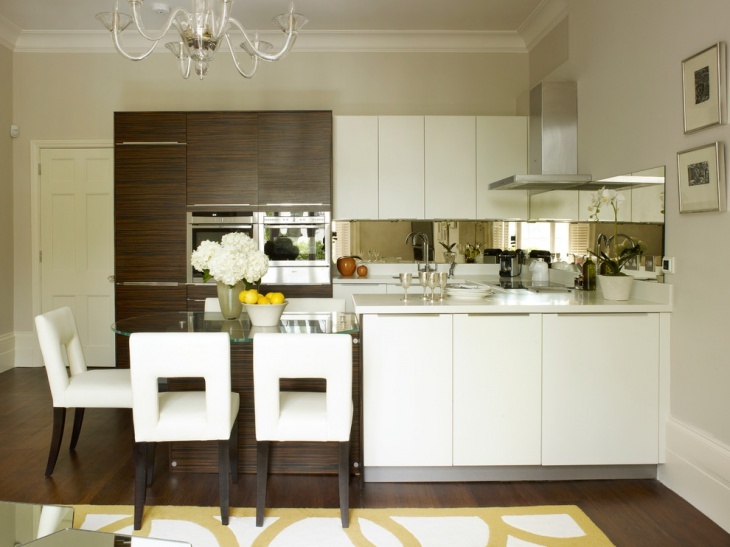 These designs have a warm elegance that makes them inviting. They will also provide you with ample seating spots for more people. 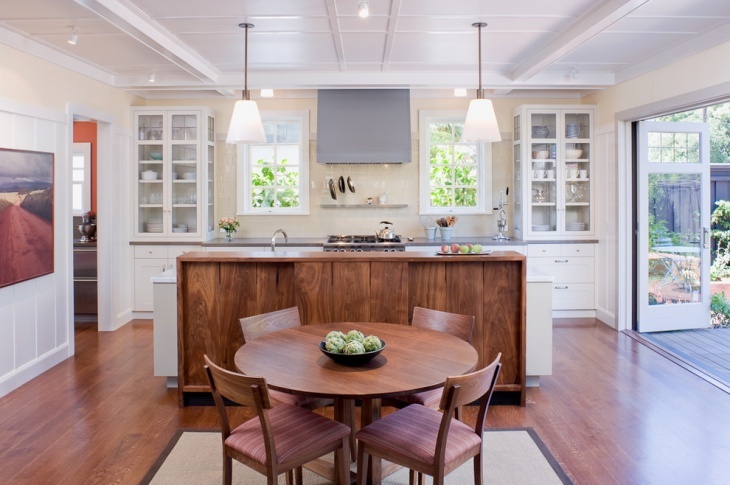 Tall kitchen tables elevate the eye creating the illusion of taller space. Also they are both suitable for small and large kitchens. 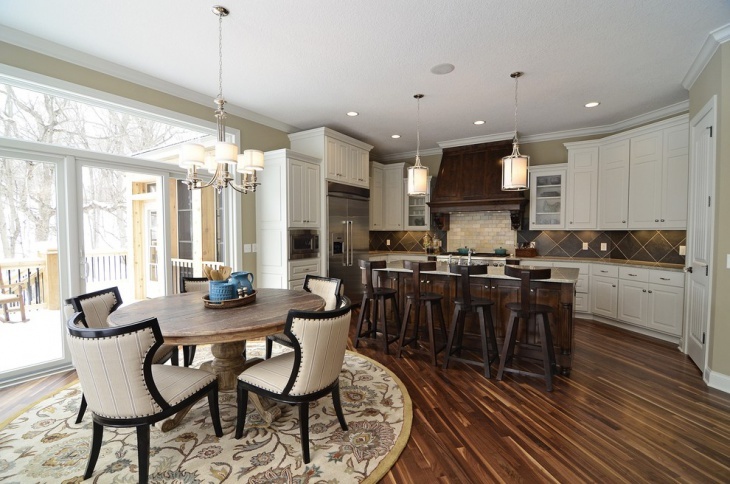 Bring some character in your kitchen by choosing a tall table design in dark wood with matching chairs. 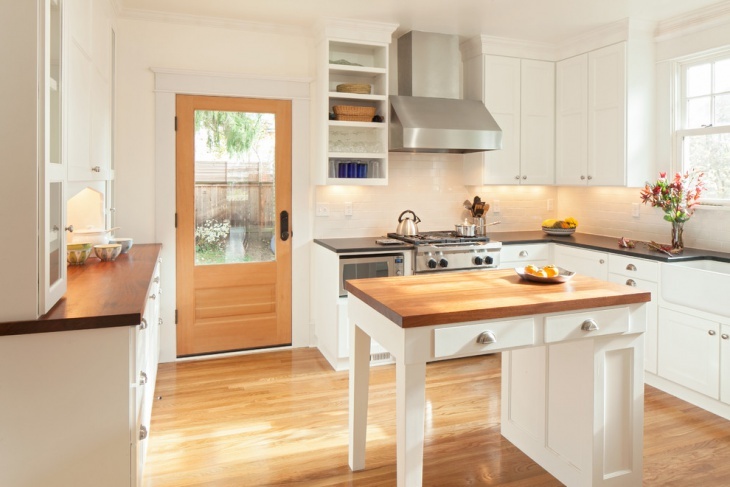 A kitchen table can complete the kitchen’s design. The style as well as the material of the table is going to shape the general look. Through the passing of time, the kitchen table has been the spot where the family gathers for quality time. 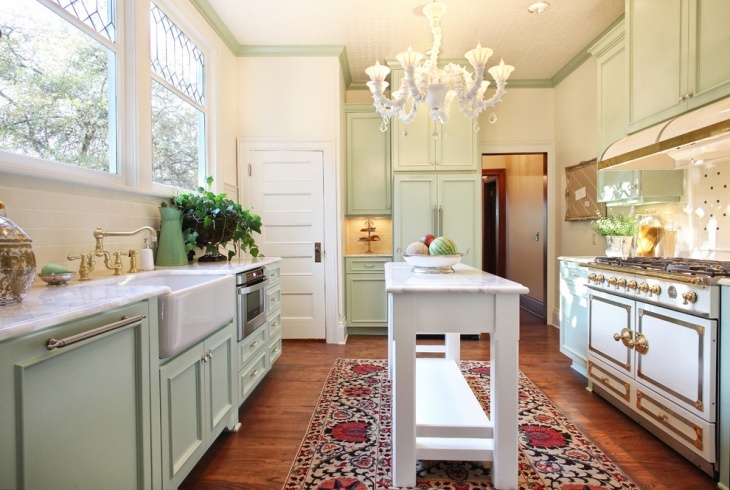 The variety of kitchen designs requires different tables that can match the style and bring character in the space. No matter what you choose it will reward you for your efforts.